After some disappointing results of last weeks try-outs, we realized it might be necessary to make some changes in the design of the disc. 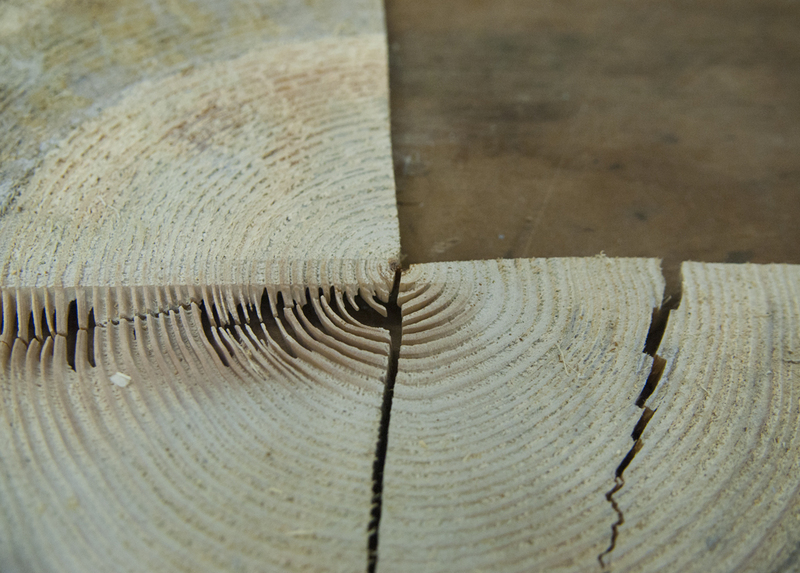 We made cuts in the wood, hoping the gaps would take enough tension off the annual rings for them to stay intact. As these pictures show, it did not work out the way we thought it would: the wood cracked open in just a couple of days of drying on the floor of Lex' studio. It probably was the warm air in this space that made the wood dry much too quickly. Despite not seeming to have luck on our side, we have decided to give it another shot and bring the wood to a professional wood drying company, where the wood can rest for a couple of weeks in a room with a more regulated temperature. 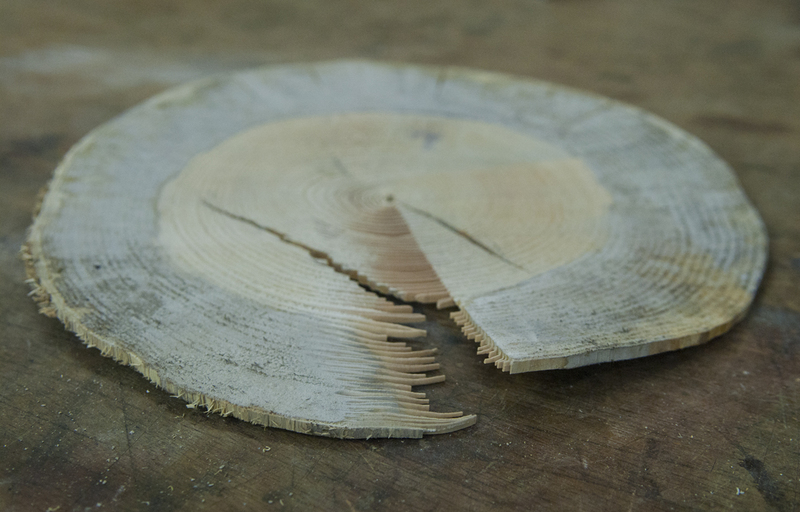 Hopefully, a slower drying process will prevent the wood from breaking and give us the result we want - a perfect base from which we can start working on the initial design we had in mind. In the meanwhile, we will concentrate on developing other objects. 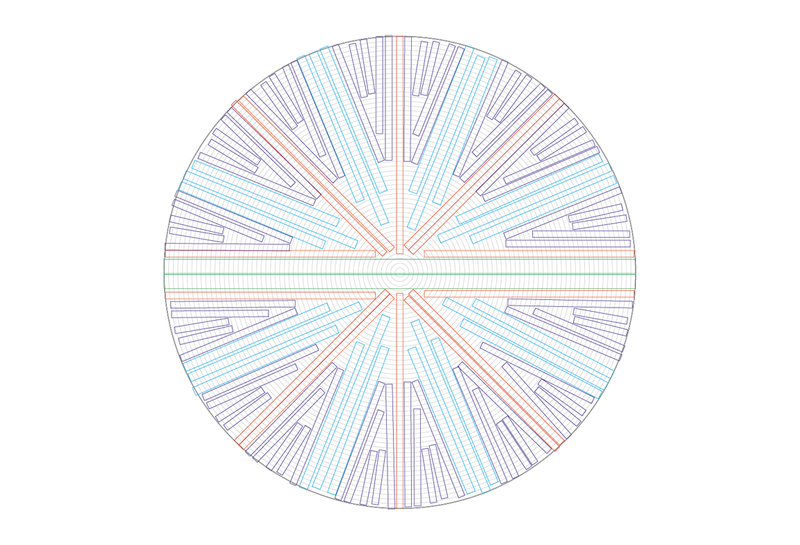 This is a drawing we sent to Harrie Van Rooijen as a guideline for some sawing work: the colours represent different designs, each with their own size and thickness. We would like Harrie to cut these for us from a piece of tree that is 2 meters long and has a diameter of 50 centimeters - and when we have his approval of this plan, the real work can start.